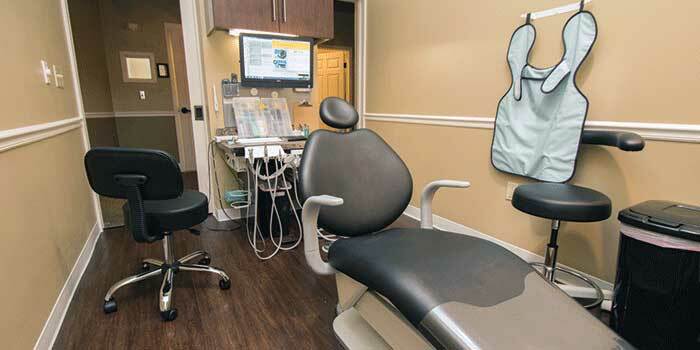 Welcome to Pleasant Plains Dental! Relax in our warm and inviting lobby. 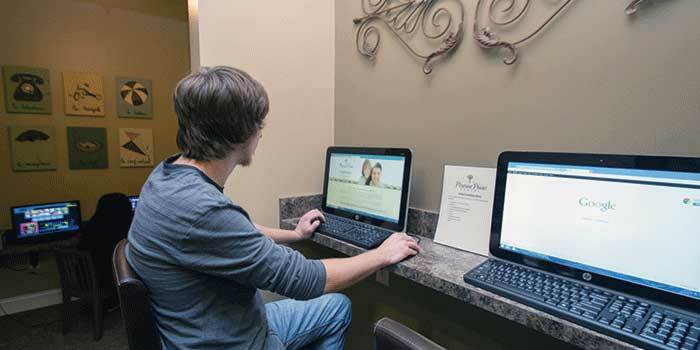 Our friendly front office team will get you checked in quickly and answer any questions you have. Brew a hot cup of complimentary coffee in our Keurig. We keep a variety of coffee blends on hand. 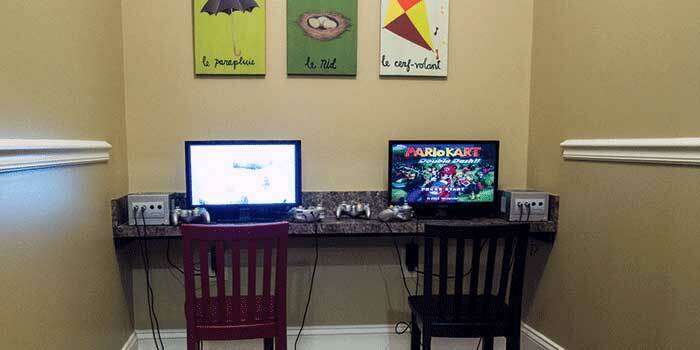 The kids can relax before their appointment by playing video games in our kids’ area. Don’t let your social life slide – stay connected with office-wide WiFi and computers in our lobby. Our office is sleek, modern, and comfortable. 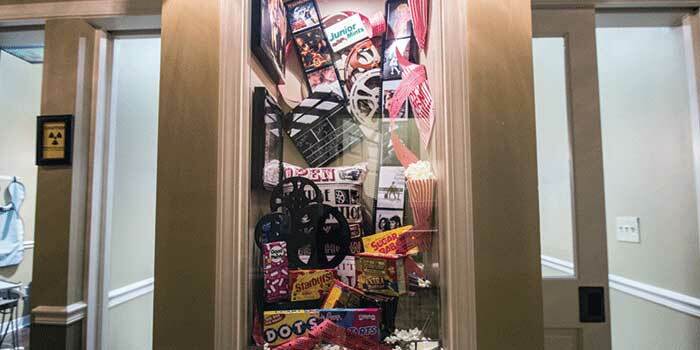 Don’t miss our beautiful window displays that line our hallway, including this one dedicated to movie blockbusters. 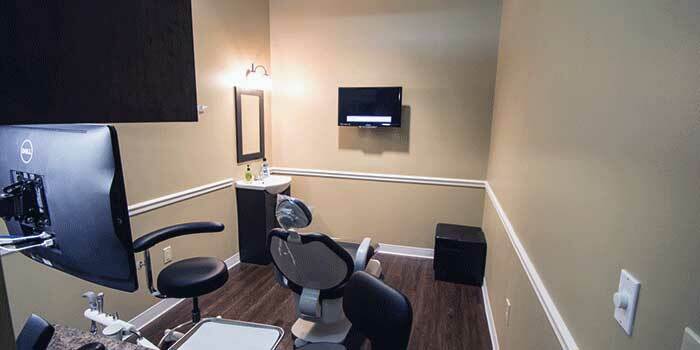 All patients are seen in clean, comfortable, and private treatment rooms. 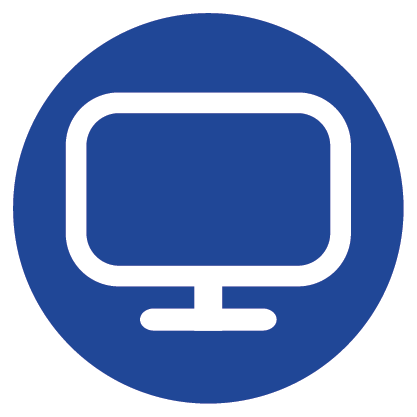 Catch up on your favorite show or watch a movie during your treatment thanks to TVs in every treatment room. Dr. Ernst enjoys treating children and teaching them proper oral hygiene for a lifetime of healthy smiles. 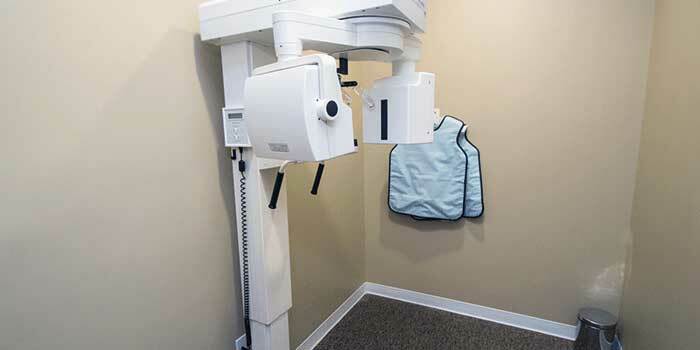 Our panoramic X-ray machine makes it fast and easy to take images of your teeth and jawbone. 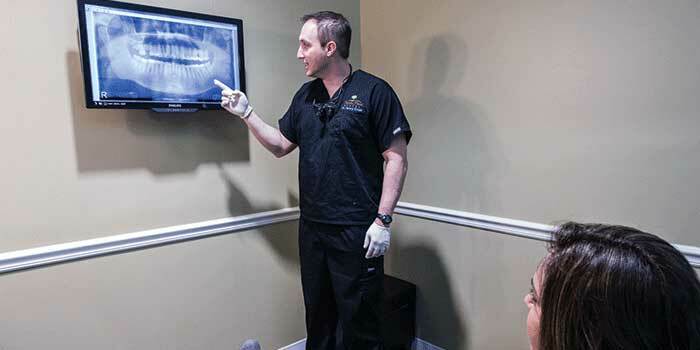 Dr. Ernst uses digital X-rays and an intraoral camera to walk patients through their diagnoses and treatment options. 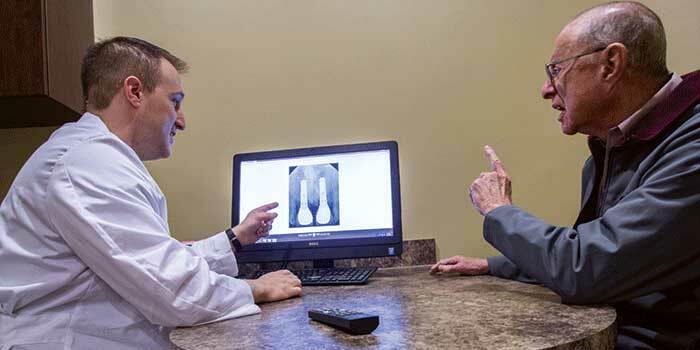 Treatment planning for procedures such as dental implants is easy and informative with our advanced digital technology. 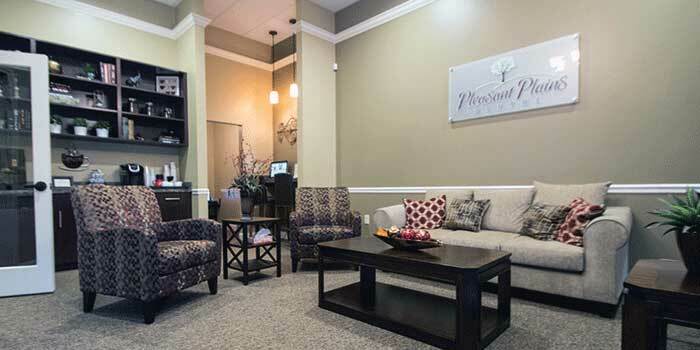 We have designed our convenient Indian Trail office to have a warm and inviting atmosphere. We want every patient that walks through our door to feel like they're in the comfort of their own home, not in a sterile doctor's office. 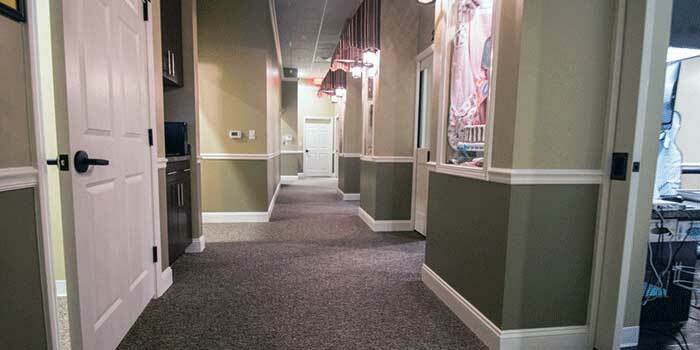 Our practice is stocked with a variety of modern amenities to help you feel comfortable while you're in our care. Whether you're five or 95, we know you will enjoy coming to our Indian Trail, NC dental practice for all your oral health care needs. 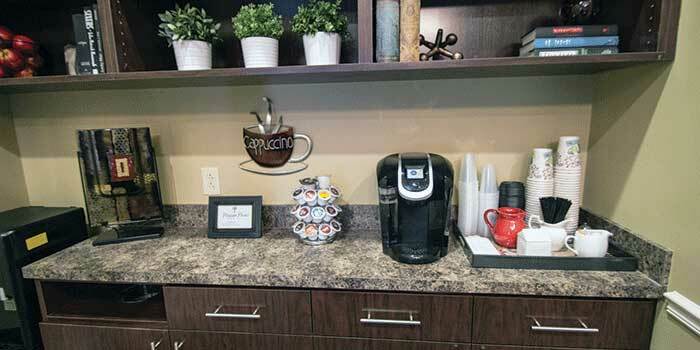 Our office has a variety of the latest patient amenities to make it feel more like home, so you can relax during your visit and know you’re in capable hands. 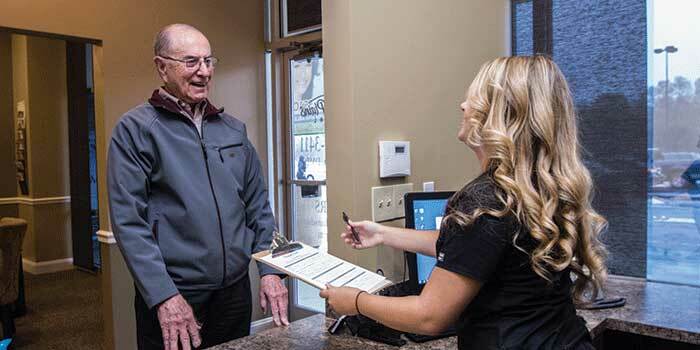 To help streamline your visit even further, we invite you to download, print, and fill out our new patient forms prior to your appointment. If you are unable to download and print the forms, please be sure to arrive at your appointment 10-15 minutes early to allow for time to fill out the forms in our office.